Reviews have an influence on local search, as made clear by Google. But where do you start? Google has made it clear that reviews have influence on local search. Many of the factors used to determine how the search engine displays business listings are opportunities within your control that can improve the results. Relevance would be a big one for determining how well your business listing matches what people are searching for. Ensure your business information is detailed, complete and up to date will improve your relevance and help to match your listing to relevant local searches. Proximity refers to the distance that the details in your business listing (address) are to the users query, as well as location information for the device they used for searching, which does involve desktop, not just mobile. Prominence is in reference to both the offline and online prominence of your business. In the offline sense, there are a number of signals, source and data points that contribute, examples being famous museums, landmark hotels, or well-known store brands that are familiar to many people and are also likely to be prominent in local search results. When it comes to local search, it’s now believed that proximity to searcher is a primary factor, if not the main one, in terms of ranking and appearing in the 3-pack for results. Other considerations for local search signals include Google My Business signals (category, keyword in business title, etc), review signals (review quantity, velocity, ratings, etc) link signals (domain authority, linking domain quantity, anchor text), on-page optimization signals (presence of name, address, phone [NAP], keywords in title, overall domain authority, site structure, content relevance, etc), citation signals (business listings, directories, NAP consistency), behavioural signals (click through rates [CTR], click to call, check-ins, etc) as well as social signals, which is thought to be on the decline in terms of importance. Localized ranking factors for organic results (different than the 3-pack) are more weighted towards link signals and on-page optimization signals, with other factors and signals including reviews, behavioural, citations, GMB, and social. 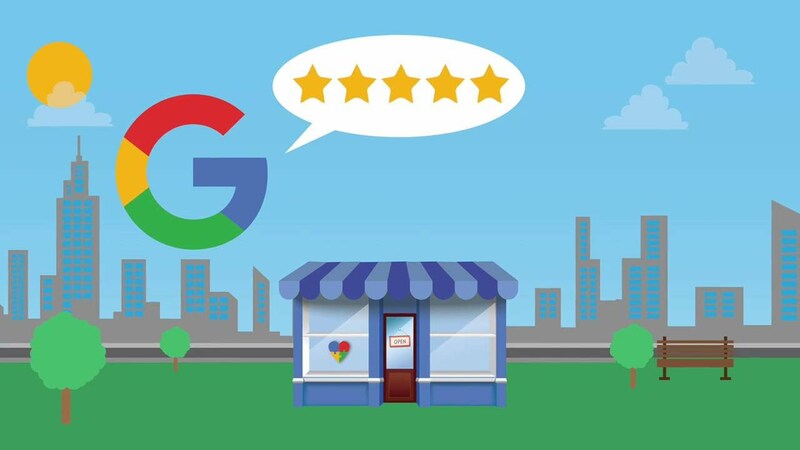 Be sure you have your business listing on Google My Business (GMB) as its the info provided here that is directly connected to your appearance. Once again, ensure that the details of your name, address and phone (NAP) are correct. Also be sure to select the correct category or it will harm your results. Read more on how to optimize your Google My Business page to get started. Next stop would be Yelp, one of the most popular review sites that any business should also have a presence on as well. If you aren’t set up already, search to see if your business is there and claim the profile if you find it. It needs to be stated again that you want to make sure that your name, address and phone (NAP) details are consistent. It’s ‘citations’ like these that can help to improve local SEO and the likelihood of appearing in the 3-pack of local search results. Also be sure to set up a business page on Facebook, even if you don’t think it’s necessary. Whether you use it or not, chances are many of your customers do, and its a great way to get more reviews. If you fail to maintain consistency with the NAP in your citations then the details of your business information will be inconsistent, which makes it more likely that the citations that don’t match are ignored by search engines and you won’t benefit from a high rank in local search as a result. These are the primary places to get started, but you should also try searching for a few phrases that you think a potential customer might use to find you, or your competition. Look at the sites that appear often and make note as you should consider signing up for these as well. It really depends on what business you’re in as to what will appear, along with your location. This is not a step to skip, and doesn’t have to be done all at once. But make if you’re serious about improving your local search results and SEO, then you should put on your to do list and take care of it as soon as possible. Always keep your NAP info consistent when doing so. If you’re in home services, then you won’t have a need for OpenTable or Zomato, which are review sites for restaurants. At the same time, if you’re a restaurant, you won’t have a need for HomeAdvisor, HealthGrades or Avvo, which are for home services, doctors and lawyers. If I owned a restaurant, then I would search these; restaurant, best restaurant, restaurant near me, restaurant Vancouver. If my restaurant had specialties then I might also try; tacos near me, tacos restaurants near me or mexican restaurant vancouver. Other than Yelp, which appears for most business searches, I also noticed that tripadvisor and zomato appeared several times and I would make it a point to sign up and have my business listed on those as well. But it’s not just a case of registering your business. To benefit from these business listings, you want to get reviews for them. This is what will help make you rise to the top, so they are seen, and so they create awareness for your business, along with referrals. It's the review ratings, volume and a few other like relevance, proximity and prominence of your listings that get you the results in local search. Review management can be time consuming, some might even say difficult. While most say they're willing to provide a business a review they were happy with, people are busy and sometimes require a few reminders. Here’s a hypothetical scenario of what it might look like if you were trying to send review requests manually on a daily basis. By the time you’re into the 4th week, you have one more reminder to send to those in week one, along with reminders for review invite recipients of week 2 and 3, and let’s not forget sending the new reviews for week 4 too. If you were doing this manually, by week 4 you need to send over 30 reminders, and if you tried to send a minimum of 4 requests a day during weekdays, that’s another 20 review invites to send. By week 4, this is what the cycle would look like, and you’d have to send over 50 extra emails per week. Who has time for that? This is part of why we created Nicejob. The automated review reminders make it much more manageable, so you only have to focus on new review requests, and running your business, while we send out the reminders to your customers. But this is about how online reviews help your local search results and SEO. This is one of the largest channels for customer acquisition, and reviews can be a big factor that will increase your revenue. In one study, it states that a 1-star increase in a company's rating can lead to a 5 to 9% increase in revenue. If you know another way to easily get more sales by near 10%, please share. If you look at any report worth it’s salt, you’ll see that it’s organic traffic that usually leads the pack for driving traffic that leads to customer acquisition and the best conversion. This is often related to intent, as a visitor from search was in the mindset of finding more info on a subject, product or service, versus most other channels that would interrupt them. Consumer trust varies according to how they’re reached, with opinion and recommendations either from people they know or review sites topping the list of what has the most influence. Since online reviews have influence over local search, which is the start of the customer journey for most looking for a product or service. It’s also worth noting that reviews encourage user interaction and boost shopper confidence when added to your website. Not to worry, Nicejob can do that too.